If you don’t have airline elite status, or are looking to enhance your current elite benefits, the United MileagePlus® Club card is worth a look! With the current increased sign-up bonus and the significant card benefits, you could get substantially more value than the card’s $450 annual fee, and travel in luxury and style. I’ll explain the best benefits of the United Club Card, and how you can use them enhance your trips for Big Travel. The new best-ever offer on the Chase United Club card is 50,000 United Airlines miles after meeting the minimum spending requirements. The $450 annual fee is NOT waived. But the many perks offered by the card can more than offset the annual fee, especially if you travel frequently. I’ll explain how! Upon enrollment, you’ll receive complimentary United Club membership, worth $550. So you’ll already save if you’d otherwise purchase a membership with cash. 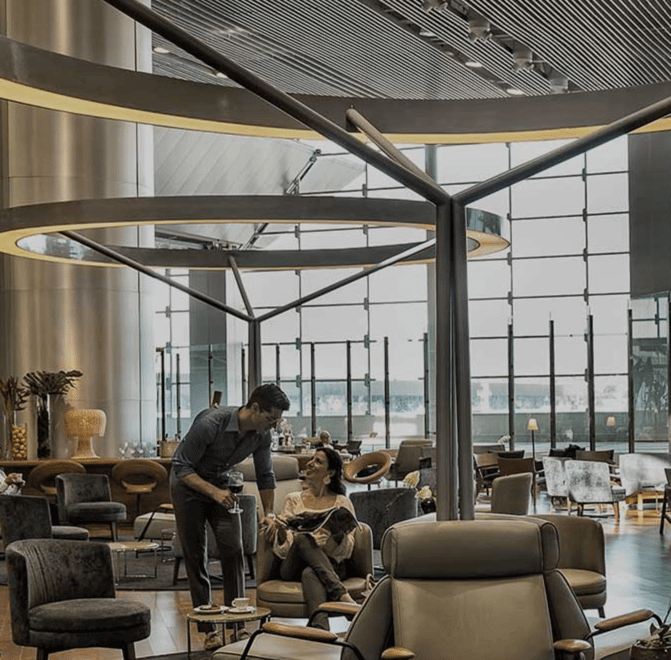 You’ll get access to any United Club airport lounge for free, except for United Polaris and United Global First lounges, flying on any airline in any class of service! This means you could fly on a Delta or American Airlines ticket (or another airline), but still access the United Club for free! You’re allowed 2 free guests, or 1 adult and dependent children under 21 years old. 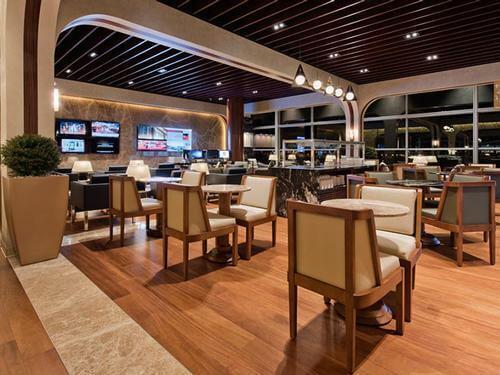 By using an airport lounge, you’ll get many benefits, including access to free drinks, food, Wi-Fi, and a relaxing place to spend your time waiting for a flight. To gain access to Star Alliance lounges, you’ll need to show your United Club membership card (NOT your credit card) and a same-day Star Alliance partner airline boarding pass. This is an amazing benefit. For example, you can access the Turkish Airlines lounge in Washington, DC, even when traveling on a domestic ticket with United Airlines, or the Star Alliance lounge in Los Angeles! International lounges tend to have better food and drink selections, and these 2 lounges are some of best in the US. You normally need Star Alliance Gold status for equivalent lounge access, but even with that, you still wouldn’t get access to United Clubs when you’re not flying United Airlines. You Can Visit the Beautiful Turkish Airlines Lounge in Washington, DC, When Flying United Airlines Domestically! Only the primary cardholder will receive a complimentary United Club membership. Authorized cardholders do NOT receive lounge access unless they are traveling with the primary cardholder. Only the primary cardholder gets free checked baggage – an authorized cardholder only gets free checked baggage if they’re traveling with you as a companion. United Airlines normally charges $25 for the first checked bag, and $35 for the second. So if you’re traveling with a companion on a round-trip ticket, you’ll save up to $240 ($25 X 4 bags + $35 X 4 bags)! When traveling on United Airlines and United Express, you and any companions on the same reservation will get Premier Access benefits for the trip. Normally you’d need either United Airlines or Star Alliance elite status, or be flying in Business or First Class to get Premier Access. This means you’ll be able to check-in, get to the lounge and board quickly, and have your checked baggage delivered quickly on arrival. United Airlines normally sells Premier Access for $15 or more per flight, so this can quickly help offset the United Club Card’s annual fee. With the United Club Card, you’ll get access to the Chase Luxury Hotel & Resort Collection program. This is similar to AMEX’s Fine Hotels & Resorts program, where you book select hotels through a special website and you’ll get benefits such as hotel credits, upgrades, and breakfast. While many of the eligible hotels are the same between Chase’s program and AMEX’s program, Chase includes hotels that aren’t part of AMEX, and sometimes offer better benefits than AMEX. For example, AMEX’s program includes 9 hotels in Las Vegas, while the Chase Luxury Hotel & Resort Collection program includes 13 hotels, so you could book hotels like the Venetian Las Vegas and get benefits that you wouldn’t get if booked elsewhere. Benefits vary by location, but you can usually expect a food and beverage credit (usually $50 or $100), free breakfast, late check-out, and a room upgrade. Eligible hotels are typically 4 and 5-star hotels, like Four Seasons, Shangri-La, etc. Hotels booked through the Luxury Hotel & Resort Collection are usually around the same price as the hotel’s website or online travel agents like Expedia. But you should always compare prices to make sure you’re getting the best deal. And according to this FlyerTalk thread, you’ll usually get elite benefits or points for hotel stays. And a number of other benefits. And with the limited-time sign-up bonus of 50,000 United Airlines miles after meeting minimum spending requirements, the sign-up bonus and benefits can far outweigh the card’s annual fee. 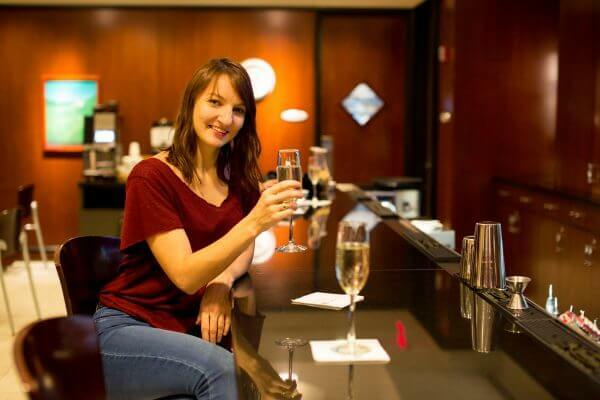 Which benefit of the United Club card is most important to you?